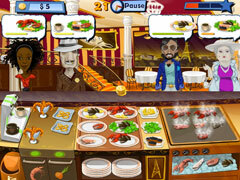 Travel around the globe and become an expert chef in this Time Management game. 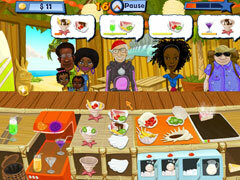 Cook a variety of dishes from all parts of the world and become an expert chef in this Time Management game. 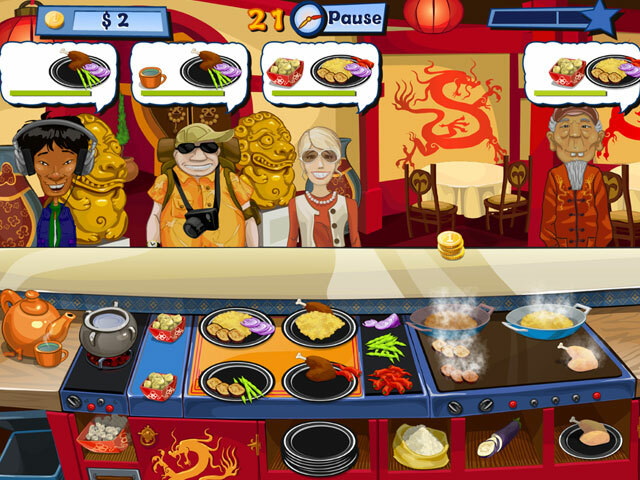 You start from the humble beginnings in an authentic pizza and pasta place in Italy, and as you become a more advanced cook, you'll travel to Hawaii, America, China and France, and become a world famous celebrity chef. Cook pizzas and pastas, ice creams and brownies, pancakes and potato chips, Asian-influenced dishes, exquisite French plates and many more. Upgrade your kitchen with fantastic new equipment that you’ve always dreamed of, decorate your restaurant and serve a huge variety of customers with unique tastes and preferences. And of course, have a lot of fun while doing it! 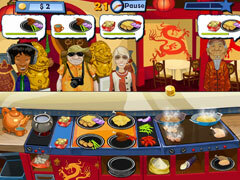 You'll most certainly be a Happy Chef! -More than a 100 dishes to cook from all over the globe – from pizzas and pastas to sophisticated Asian-inspired plates and exquisite French dishes.